Even if you don’t have babies and toddlers crawling around your home, you might want to be concerned with what ends up on your household floor. Researchers at the University of Arizona found that about 96% of shoes carry an average of 421,000 different bacteria. Some of the bacteria found was Serratia ficaria and Klebsiella pneumoniae, linked to respiratory infections and urinary tract infections respectively, as well as E. Coli which causes digestive issues and even kidney damage. Just think about it: you walk around all day walking on the floors of public bathrooms, grocery stores, and even sidewalks. Then you bring those germs and bacteria back into your own home. Ditch your shoes at the front door before heading inside your home and leave your worries and the bacteria outside. Try keeping your windows and doors open as much as possible to ventilate your house and reduce the stuffiness in the air. You can also add green household plants to detoxify the air naturally. Fresh flowers or bowls of herbs such as rosemary and sage are two common ways to add a pleasant smell without all the chemical fragrances. A portable air cleaner or purifier can be used in bedrooms, especially while you sleep. It is also important to have your air ducts and vents cleaned regularly to ensure you are not spreading around the dirty air; however, make sure that they are cleaned using only non-toxic cleaners. According to the Environmental Protection Agency, indoor air is considered one of the top five hazards to human health, largely due to the paints and finishes used on the walls. Due to the high amount of volatile organic compounds (VOCs), which were necessary to the performance of the paint until recent years, the paint releases low levels of toxic emissions for several years. To get rid of these toxic hazards, use low VOC and low odor latex paints instead. These paints are better for the environment as they reduce ozone depleting contaminants and are not considered to be toxic waste. They are also more beneficial for you and your families’ health as they have little or no toxic fumes. They are also water-based which means the cleanup is easy with just soap and water and they are more effective than traditional paints. Nonetheless, remember to always open all the windows to ventilate properly while painting indoors. While you may think that you are drinking “purified” bottled water, there have been more than 700 organic chemicals found in drinking water, some of which are suspected of causing cancer. In addition, most tap and well water in the United States also contains some level of contamination due to industrial and environmental pollution. While these contaminants often do not cause immediate damage, they can cause cancer, liver damage, and other health problems over time. Install a water filter in your home to reduce these risks tremendously. By switching to reusable bottles filled with filtered water from your home, you are improving your own health as well as saving the planet by reducing your own plastic consumption. Flea-fighting collars often use propoxur or tetrachlorvinphos to remove ticks from your pets; however, both of these are identified as causing cancer, according to the EPA. Additional ingredients in flea and tick spray and shampoo have also been linked to cancer as well as causing asthma and disrupting hormones. Instead of these tick removers, try preventing the fleas in the first place by washing and combing your animal's fur regularly. 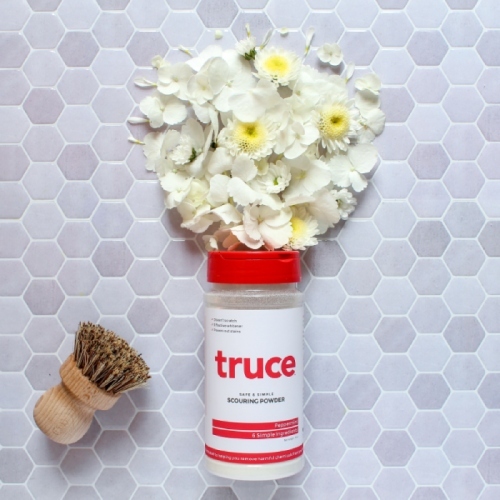 Two products that are all natural, toxin-free and completely safe for your animals are Truce Pet Odor Remover and Truce Dog Shampoo. Also beware of typical pest control procedures, including termite exterminators, that can cause extreme toxins to be added to your home. Opt for green pest control services that keep your family and your pets in mind.